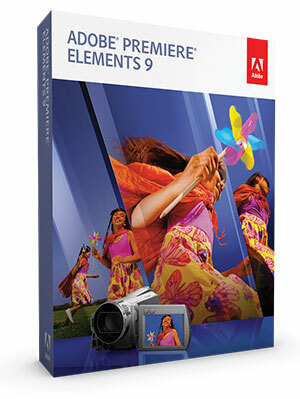 Premiere Elements 9 Now Available For Instant Download! Now Shipping: The complete solution for making incredible movies. Incredible movies, effortlessly! Adobe® Premiere® Elements 9 makes it easier than ever to create and share entertaining movies and work with all your media. PRE 9 delivers powerful, automated moviemaking options, professional-quality effects, and optimized HD and SD editing. Automatically organize all your video clips and photos. Easily fix audio problems to give your movie high-quality sound from start to finish. Treat family and friends to convenient, interactive web DVD viewing experiences and on disc. Quickly share videos and photos on mobile devices, Facebook, and YouTube. And now enjoy a complete solution for videos whether you use Windows or Mac OS. Do it all with one powerful yet easy-to-use product – Use Premiere Elements 9 for all your video needs. Import and organize your video clips, and edit them together yourself or use automated options. Make your movies look like professional productions with amazing special effects, sound, titles, and Hollywood-style motion menus. Quickly share via the web, disc, and virtually anywhere else. Create a polished movie instantly – Take advantage of creative techniques from Hollywood directors with InstantMovie, which automatically edits together your best clips with coordinated music, titles, effects, and transitions from your choice of movie theme. Customize anything to get just the results you envision. 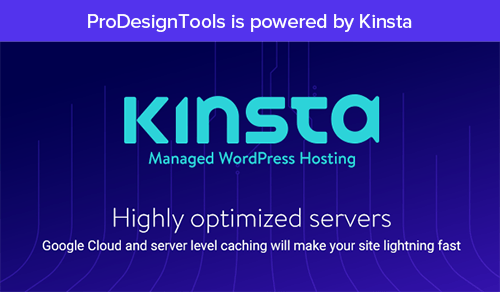 All-new themes are included. Easily import from compact camcorders and more – Easily bring in video from compact camcorders like Flip cameras and DSLR still cameras. Quickly share videos and photos on Facebook – Conveniently share videos and photos on Facebook directly from the Organizer, which automatically optimizes your media so it looks its best. Enjoy optimized HD editing – Experience fluid responsiveness and high performance when editing video, even HD. Easily fix audio issues – Easily reduce background noise and fix problems with audio volume and clarity so your movie has high-quality sound from start to finish. Save time with automated options – Make movies with less effort. 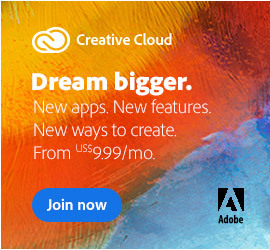 Adobe Premiere Elements can automatically fix shaky footage and color and lighting problems, trim away all but your best footage, and balance audio elements to give you professional-quality sound throughout your movie. Share in an exciting new way on the web – Debut your movie with a convenient, interactive web DVD viewing experience. Easily share your movie – complete with a scene index and chapter menus – on your own website. Quickly find the clips you’re looking for – Want to find your best video clips or clips that meet a particular set of criteria? The Auto-Analyzer automatically tags your footage and photos for quality and interest, and a variety of smart search options makes it easy to zero in on just what you need. Jazz up the action – Give your movie an eye-catching cartoon look. Choose from a variety of animation styles, and customize as you wish. Make movies with drag-and-drop ease – Create your story fast in the Sceneline, an easier alternative to the more traditional video-editing Timeline. Make your movie by simply dragging and dropping thumbnails of your clips, transitions, and effects. Add professional-quality effects and transitions – Add entertaining graphics that automatically follow the action in your movie. Easily combine elements from different scenes for entertaining results. And add visual appeal with hundreds of amazing special effects and TV-style transitions, including several brand new options. Energize your movies with music – Use SmartSound to add a variety of musical soundtracks that automatically adjust to perfectly match the length of your movie. Even synchronize scenes to the beat of your soundtrack. Conveniently share your movie and enjoy the latest technology – Follow easy steps to create your movie once and then share it on disc, the web, or mobile devices – even treat friends and family to an interactive web DVD viewing experience. Share on high-quality HD or Blu-ray Disc so you can enjoy your movie on virtually any screen, from your iPod to your HD flat screen TV. Now available for Mac – If you use a Mac for your videos, you can now enjoy the power and simplicity of Adobe Premiere Elements software. Choose automated options to effortlessly create incredible movies or enhance your movies with professional-quality effects and Hollywood-style motion menus. Then share your movies on the web, disc, and virtually everywhere else. Protect precious memories with 20GB of storage for automatic online backup – enough to protect up to four hours of DVD-quality video or 15,000 photos. Boost your creativity with access to exclusive libraries of how-tos and creative extras. 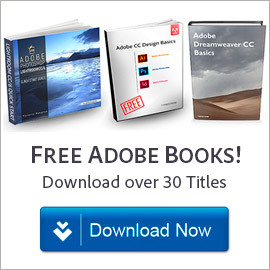 Learn new tricks with ongoing delivery of easy-to-use how-to’s. Keep the creative sparks flying with ongoing delivery of seasonal artwork, templates, and Online Albums. Do you also take digital photos? 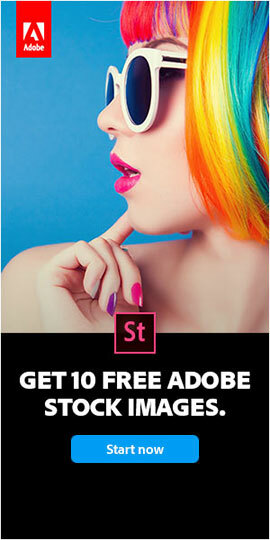 Consider getting the Adobe Photoshop Elements 9 & Premiere Elements 9 bundle, a complete photo- and video-editing solution. Create extraordinary photos and incredible movies, and use them together in entertaining ways. AVCHD (import only), Blu-ray Disc (export only), DV-AVI (import/export on Windows, import only on Mac OS. ), DVD, Dolby® Digital Stereo, H.264, HDV, MPEG-1 (import only), MPEG-2, MPEG-4, MP3, QuickTime, Windows Media (Windows only), and many more. See the full list. Import/export of some formats, may require activation via an Internet connection. Activation is fast, easy, and free. Importing or exporting QuickTime formats requires QuickTime 7 software. Importing or exporting Window Media formats requires Windows Media Player. Learn more, get the Product Overview brochure (PDF), or download a free trial.